A package of 10 pcs. costs 699 USD. 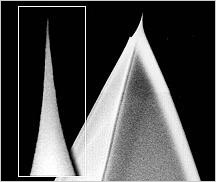 For enhanced resolution of nanostructures and microroughness we have developed an advanced tip manufacturing process leading to unrivalled sharpness of the SuperSharpSilicon tip. 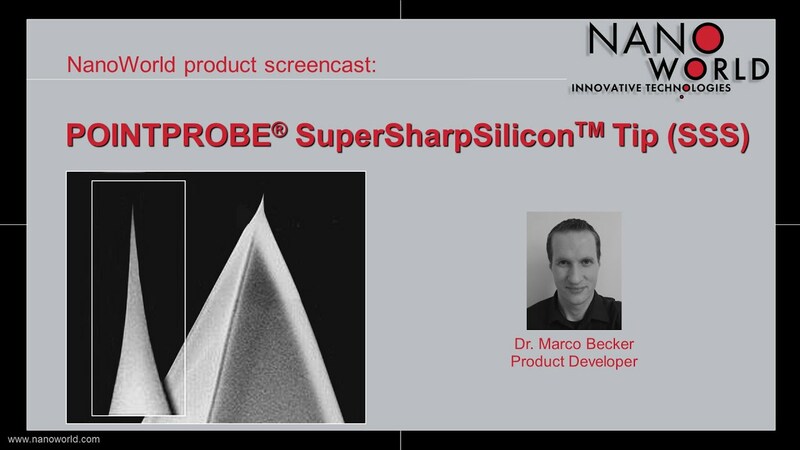 For applications allowing higher resonance frequencies or a shorter cantilever length use NanoWorld Pointprobe type SSS-NCH.